We didn’t stop there. With new print options, new fill options, 33 new plants and trees, two new silhouettes, new materials (including canvas and leather) — this deck building software update offers you the new and refreshed tools you need to design the most incredibly vivid, precisely detailed projects for your clients. Check out the video and see all the details: custom pergolas, detailed measurements, and a clean new interface that puts the tools you use most right where you need them. Create Custom Pergolas — and More! What better way to improve on last update’s integrated deck design software . . . than to make it just as easy to design custom pergolas? The new Pergola tool — found in the renamed Custom Shape and Pergola Stage — takes those new design tools and expands them to give you that same power to design pergolas, patio covers, and arbors in both 2D and in 3D. This is fully integrated pergola design software that also lets you design patio covers, arbors, and more with incredible ease and accuracy. 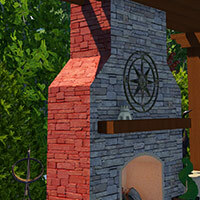 Pergola templates and pergola designs are now instantly ready to share with your clients. Now, you can create a beautiful, intricate custom pergola in just two steps: draw the outline of the structure, and then adjust it in both 2D and 3D. When you’re in 2D, you can instantly switch the shape you’re creating between Pergola and Custom Shapes — giving you unlimited flexibility. 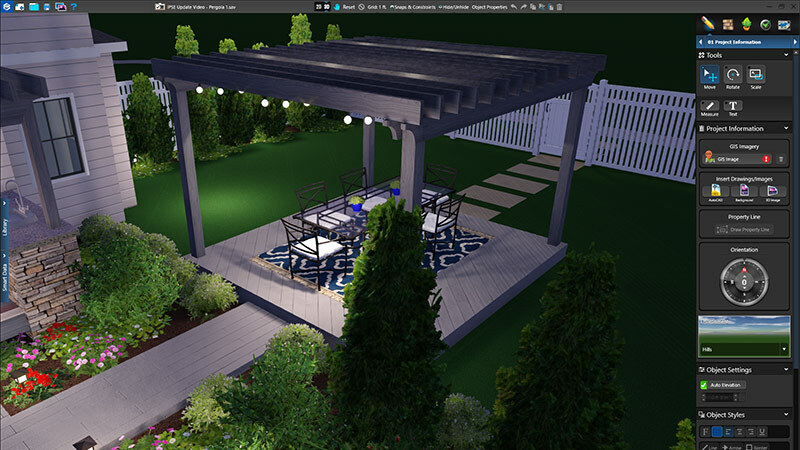 When you want to edit your custom pergola, patio cover, or arbor in 3D, just double click on any section of the pergola or select from the panel menu to adjust the settings. You can quickly and easily adjust the columns, rafter supports, rafters and slats (all of which you’ll see in 2D), as well as the profiles at the end of each section. As you adjust the settings, your edits will appear instantly. And to streamline your design flow even more — not only can you now draw your own profiles to save to your library. You can also adjust the line style and fill pattern for the overall structure in Construction Markup. Want to know more about the new Pergolas feature? Check out our video tutorial in the Custom Pergolas blog. We heard your feedback: the interface needed to make the most popular, most loved, and most frequently used tools even easier to reach. At the top of the panel, you’ll now find the most-used tools (like Divide, Text, and Measure). All of your font, color, line, arrow and fill choices are now in a single spot, instead of spread out across multiple locations. Use the text tool in 3D to add your TextFX, instead of accessing the Items tab in the Library. Use the relocated Measure Guide to add 3D Measurements to Wood Decks, Staircases, and the new Pergolas. Plus, you can switch to a new High Contrast theme in Vip3D (just visit Configuration) — it’s a great way to keep your design sharp, even when working outdoors. The precise, streamlined new controls in this update aren’t limited to what you see on the screen as you design. 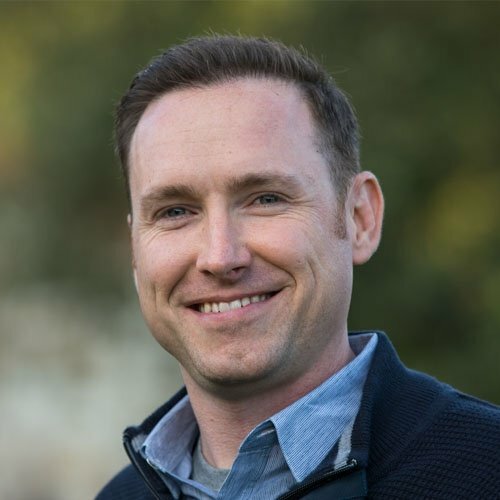 This update also makes it easy for you to quickly and easily provide your team and your installers with the detailed (and printed) measurements they need to make sure your design is built and positioned to your exacting specifications — no matter how intricate and unique. 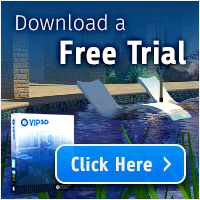 In Pool Studio, VizTerra, and Vip3D, you can now use your powerful pool and landscape design software tools to add centerlines and triangulation to your projects — automatically. 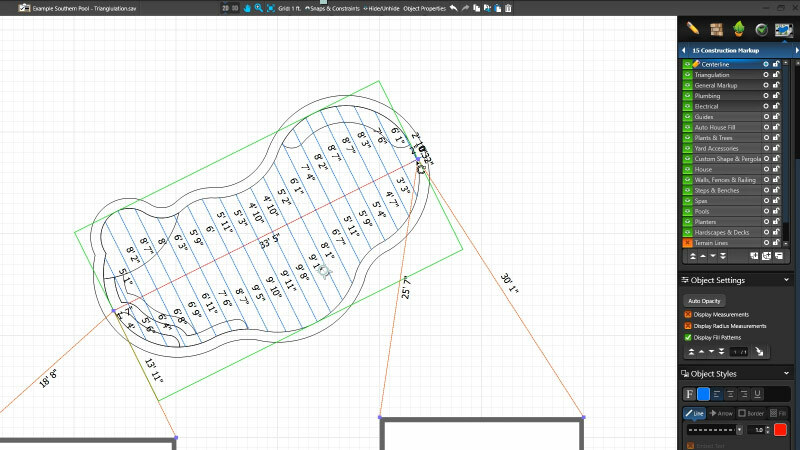 In Construction Markup, simply select your shape (such as a pool or hardscape) and then select one or both of the new Special Rulers — as you make adjustments, measurements update automatically. Centerline: Drawing a Centerline is just as easy. Simply select the shape and press the new Centerline button. A new layer will be added, with measurements expanding to the edge of the shape. Then simply click, drag, and rotate the Centerline, adjusting the anchors as needed, to get the measurements you need. Triangulation: When you choose the new Triangulation option, a new layer will be added, with lines connecting each radius point, and anchors connecting to the House. It’s easy to make adjustments: simple click on the triangulation and anchor lines to adjust or delete them, use the updated interface to adjust Font and line styles and colors, and even draw additional lines on the new layer. Want to see exactly what you can do with these new tools? Visit the Triangulation and Centerline Blog to learn more — and to view the full tutorial video. Now, you can easily adjust individual sides of custom shapes and houses. 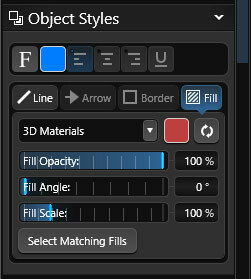 In the Materials Stage, simply double left click on any side to select it — you can then make adjustments to the selected face. It’s a great way to adjust archways, apply a unique material to only one side of a house and complete custom fireplaces in your design. 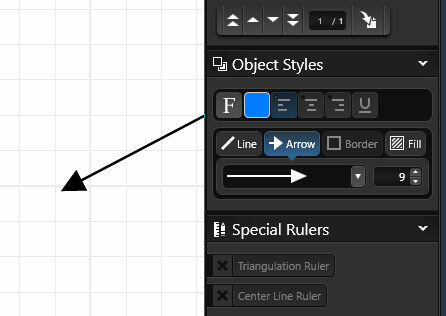 In Construction Markup, you can now add arrows to the end of lines. Just draw on a layer (like General Markup), select an arrow from the newly updated interface, and see the new arrowhead attached to the last point drawn. The streamlined new interface moves page tabs to the bottom of the screen in Page Layout — while also offering you the option to print and collate multiple copies. Move Walls/Fences/Railing Posts — in 3D! The precise new controls in this update also give you full control over walls/fences/railings posts, making it easy to move them in 3D: simply double click on the post and use the Move tool to change its location. That’s not the only improvement we’ve made to fences: with this update, you’ll also be able to choose two new Wood Privacy Fence presets in the library, made possible by the new beveled edges you’ll see on boards. New 5-Credit GIS option means you can now purchase 1, 5, 10, or 20 GIS credits at once. AutoCAD 2018 Files can now be imported. New Standing Silhouettes: If you haven’t given the new silhouettes from last update a try yet, add one of the new male and female silhouettes to your next design — and see why they’ve quickly become popular with clients. New 24" Tiles: In the Materials stage, explore the 18 new 24” tiles, available in both 6x24 and 12x24 sizes. New 6”x6” Spanish Tiles: Visit the new Spanish tile category and try one of the 6"x6" tiles in your next project. Updated Materials: With updated flagstone and marble, new earth materials such as synthetic grass, and several new fabric choices (including canvas, textile, and leather), the new materials give you luxurious new options to share with your clients. New Vendor Options: Grand Effects has added 16 new Fire / Fire & Water Bowls and updated all 69 bowls and 4 lava rock options in their library. Hit subscribe and get first look at the next new tools and features, right in your inbox.